An economic answer is that Super Bowl spots must be worth $5 million because brands are willing to pay the price. This year, inventory was nearly sold out in November. If advertisers thought the price was too high, spots wouldn’t sell, simple economics. The fact that so many companies are happily paying the record price this year indicates that companies see it as a solid investment. This year’s Super Bowl advertisers are a seasoned group, with many familiar names. The marketing teams at Budweiser, Coke, Pepsi, Doritos, Honda, Hyundai, Kia and other brands are well aware of what a Super Bowl ad can do. These aren’t new companies recklessly throwing money at a crazy venture. 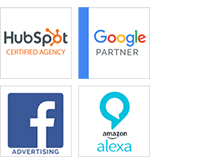 These are savvy marketers, many working with talented media and advertising agencies, who have been here before and understand the business decision. In many cases, advertisers will be spending far more than $5 million on the Super Bowl event. Over the past several years, we have seen brands run spots running for a minute, two minutes or even more. If a 30-second spot costs $5 million, a two-minute spot will cost about $20 million. Simply producing a spot worth of the Super Bowl can cost $1 million, or even more. Promotions, social media efforts and PR campaigns are also frequent and further increase cost. It will not be a surprise to learn that some companies invest more than $20 million on the Super Bowl. Perhaps the single biggest reason why brands pay a premium for a Super Bowl spot is the broad reach. In a single moment, a brand can reach more than 100 million people in the United States. This is about one-third of the U.S. population. No other show in America gets to even half of that. Most people tune out advertisements. Indeed, some individuals work very hard to avoid seeing commercial messages through the use of blocking software and digital video recorders. Super Bowl ads are different; people are excited to see them and pay attention. At some Super Bowl parties, people are quieter during the commercial breaks than during the game itself. People watch Super Bowl ads before and after the game, vote in various polls and share impressions. People have viewed VW’s famous “Darth Vader” spot on You Tube more than 63 million times, Budweiser’s 2015 Clydesdale ad more than 30 million times and Clash of Clans 2015 spot more than 96 million times. This is a marketer’s dream; people want to see and talk about your work. It makes Super Bowl viewership exceptionally valuable for advertisers. For most brands, a Super Bowl spot isn’t a one-time event; the Super Bowl is the catalyst or platform for a much larger campaign. This year brands will use teaser spots, PR efforts, social media campaigns, celebrities and sweepstakes to engage with consumers, and people will respond. Buying a Super Bowl spot isn’t just securing time on the game. A Super Bowl ad gives an advertiser the right to participate in the four-week frenzy that is Super Bowl advertising season. These three factors aren’t entirely new; they have driven prices for many years. What is new is that other advertising platforms are eroding by comparison. Viewership of many network TV shows is fading. Social media can drive engagement, but it is a cluttered and unpredictable space. Digital advertising can be inexpensive, but consumers often turn it off, or block it. The Super Bowl stands out as a marketing platform; it is the most compelling space for advertisers. Dozens of advertisers think a price of $5 million represents a value. While the price of $5 million might seem absurd today, we anticipate it will only increase in years to come. To learn more about the Kellogg School Super Bowl Ad Review, visit here. How To Elicit Your Prospect’s Business Story Story vs. Assertion: Which Is Better For Your Brand?